Whether you call it soda, pop, or soft drinks, many of us enjoy a bit of the bubbly every now and then. Straight up on the rocks or used in mixed drinks, this beverage is very popular. Aside from the big, international, commercial brands like Coke and Pepsi, there are also some truly Canadian, boutique producers. Here are some from across our fair country, from west to east. 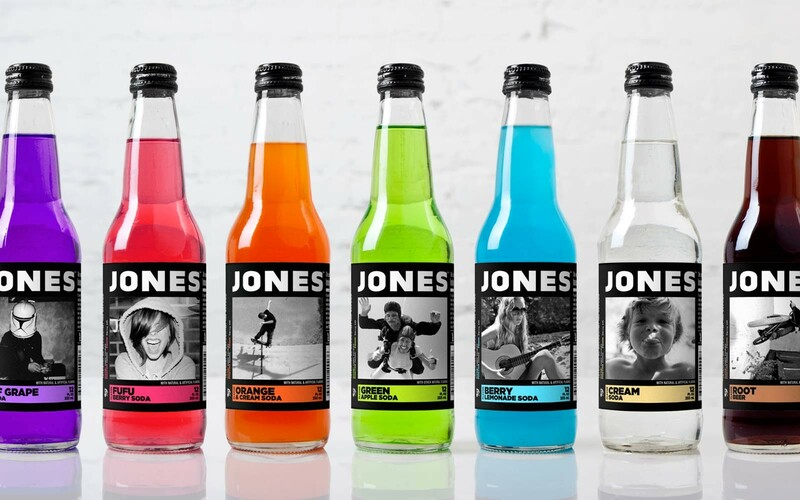 Vancouver is the home of “Jones” soda. Created in 1995, it boasts traditional flavours like Cola, Root Beer, Cream Soda, Orange and Cream, as well as interesting options like Blue Bubblegum, Green Apple, Strawberry Lime and Fufu Berry. “Dougie Dog” started in a food truck in Vancouver and branched out into hotdog stands. Their claim to fame is Butterscotch Root Beer. If you spend any time out west, you’re probably familiar with “Pic-a Pop” out of Winnipeg. Founded in 1971, with its own retail outlets, it vanished in 1996, but was recently introduced back into the market place to the pleasure of many consumers. Ontario is no slouch when it comes to soda. Based in Stoney Creek, “The Pop Shoppe”, started business in 1969, but shut down in the mid 1980s, then relaunched again in 2002 as a retro brand including all the original flavours. The Toronto-based “Just Craft Soda” offers an unusual selection of flavoured pop such as apple, ginger, pear, vanilla, lemon and lemongrass, peach and habanero and others. Northern Ontario offers up “Temagemi Dry Ginger Ale” and its Scotch Cream Ale, a brand that dates back to 1916. The Kichesippi Beer Co. out of Ottawa produces the “Harvey & Vern’s” line of sodas including root beer, ginger beer, lime and cream soda, all sweetened with cane sugar. Quebec is a hotbed of pop production. A traditional craft recipe using local ingredients and a hint of maple from the Laurentians is what “1642 Cola” out of Montreal is all about. Looking for something historic that Quebec settlers may have consumed back in the day? Check out “Marco Spruce Beer”. Originally made by Indigenous people from spruce needles, it was used to ward off scurvy and treat stomach ailments. At its peak in the ‘80s and ‘90s, it is seeing a recent renaissance. Some folks says it tastes like “Sprite mixed with Christmas tree” – it’s an acquired taste. Another great Quebecois pop is “Bec Cola” which is actually sweetened with real maple syrup. Dating back to 1937, a uniquely flavoured soda by the name of “Red Champagne” is delighting soft drink aficionados. Apparently including such flavours as cherry and nectar, the ingredients are a closely guarded secret. From Atlantic Canada, comes “Sussex Golden Ginger Ale”, originally bottled in Sussex, New Brunswick. This regional favourite has a darker colour and a richer, ginger taste than most commercial styles. “Big 8” sodas out of Stellarton, Nova Scotia, has been in production since 1986 and sports such flavours as cola, cranberry, ginger ale, cream soda, root beer and more. Halifax hosts two great entries: “Propellor Soda” and “Cannonball Soda”. The former, offering a root beer and ginger beer, utilizes natural ingredients and cane sugar. The latter, bottled at the Garrison Brewing’s craft beer facility, offers up five varieties: traditional cream soda, root beer, ginger lime, tangerine, blueberry and even chocolate. You’ll more than likely find these brands if traveling throughout the country or maybe even at your local shop. If you’re going to drink soda, why not make it Canadian? Edward Finstein is a wine writer, author, TV and radio host, educator, judge. Connect with him at winedoctor.ca, thewinedoctor.blogspot.com, on Twitter @DrWineKnow or facebook.com/EdwardDocFinstein.